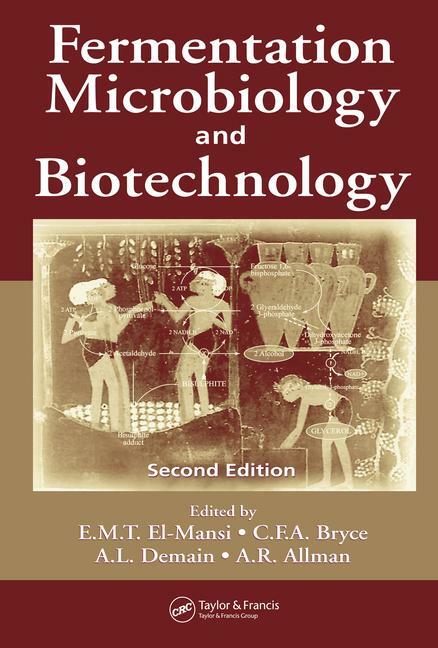 Fermentation Microbiology and Biotechnology: An Historical Perspective. Microbiology of Industrial Fermentation. Fermentation Kinetics. Microbial synthesis of primary metabolites: Current advances and future prospects. Microbial Synthesis of Secondary Metabolites and Strain Improvement. Metabolic Analysis and Optimization of Microbial and Animal Cell Bioprocesses. Flux Control Analysis: Basic Principles and Industrial Applications. Enzyme and Cofactor Engineering and their Applications in the Pharmaceutical and Fermentation Industries. Application of Metabolic Engineering to the Conversion of Renewable Resources to Fuels and Fine Chemicals: Current Advances and Future Prospects. Cell Immobilisation and its Applications in Biotechnology: Current Trends and Future Prospects. Biosensors in Bioprocess Monitoring and Control: Current Trends and Future Prospects. Fermentors: Design, Operation and Applications. Control of Fermentations: An Industrial Perspective. Modelling, Software Sensors, Control and Supervision of Fermentation Processes.